Here I highlight some common early-stage mistakes I come across working closely with startup teams (and how you can avoid them). This post was first published on Medium. Simon Sinek points out in his renowned TED talk ‘How great leaders inspire action’ that you need to awaken an emotion with your early customers so that they feel something, come back for more and, most importantly, tell their friends about you. He points out that most buying decisions are based on emotion, rather than logic. This is where the Golden Circle comes in. If your customers believe in your mission, then they’ll warm to you and listen to what you offer and how. 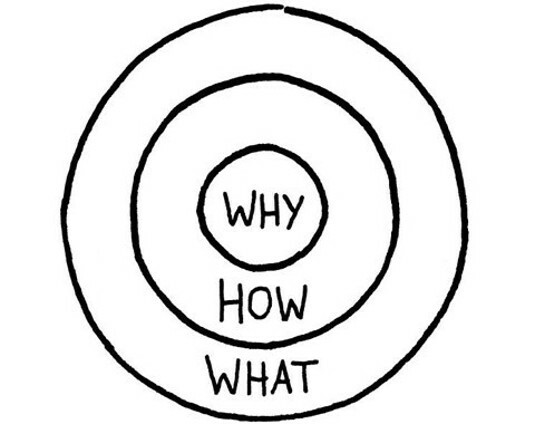 By focusing on the ‘why?’ in business we can create much deeper connections with our audience and give our startups a better chance of success. I recently developed a more human framework for early-stage startups to define their startup DNA and lay some foundations for a sustainable business. I’m hoping this will help to save entrepreneurs time in their hunt for success, whilst adding some more meaning to their businesses. One thing we make a point of doing with each product we work on at Spook Studio is to make a list of things we won’t do. This helps to add some constraints to the design process as everyone has a clear idea of what the product isn’t. In this way we can make better decisions and not take our eye of the ball. Mistakenly, many early-stage startups often don’t see value in investing in design early on, believing it is a luxury which can be bolted on later like some kind of magic stardust. This is a missed opportunity (and demonstrates a misunderstanding of what design is). In the startup world there’s been a culture of solution or technology first, whereas I believe we should be taking a more people-centred approach to building products and services. Unless the thing you’re building has real value to someone, it’s just a vanity project, no matter the technology. Whilst the tide is turning, there’s still a need to educate startup founders about the competitive advantage well-designed products and services can bring. 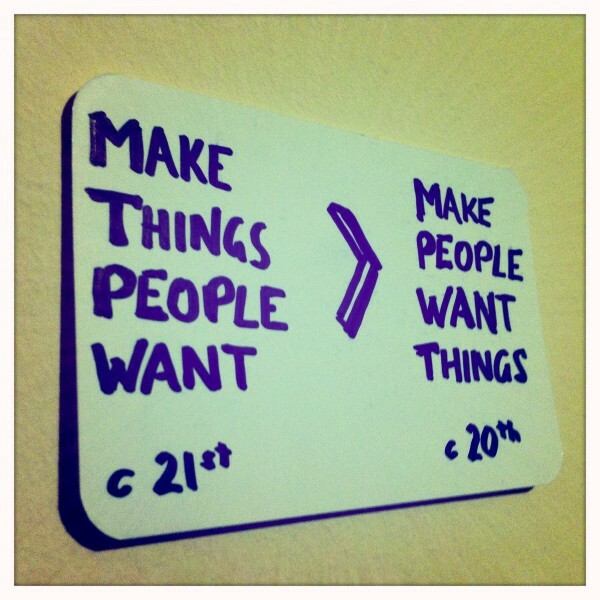 I set up a regular design meetup for startups, UX Café, for this reason. Most business ideas are based on a set of assumptions made by the founders, and without rigorously testing these you’re significantly reducing your chances of success. Many business disasters could have been avoided simply by talking more to their customers and stakeholders. It’s your responsibility to discover a product that is valuable and desirable. It makes no sense to proceed to building something until you have evidence that you have discovered the right product. When we’re exploring the opportunities for a new product idea, we conduct some customer interviews without ever mentioning a solution. The aim of this is to better understand potential customers and their world, to find out whether the problems we’re looking to address are a pain for them too.Introducing a solution early on can lead the conversation too much and mean potential missed opportunities. Whilst sales are the lifeline of any startup, the key is really understanding your customers’ problems before selling. Too many startups spend months (or years in some cases) in ‘stealth mode’, hidden away from prying eyes, and end up never releasing at all as uncertainty and competition spoil the show. Equally there are others that launch a poor early version of their product in true lean startup style. However if it’s not ‘minimum loveable’, don’t release it. Make sure there’s a base level of design and usability across all features otherwise you might not get the outcome you’re hoping for. Getting the balance right between launching early and creating the perfect product is no mean feat, but one that could pay dividends. Build it and they will come. 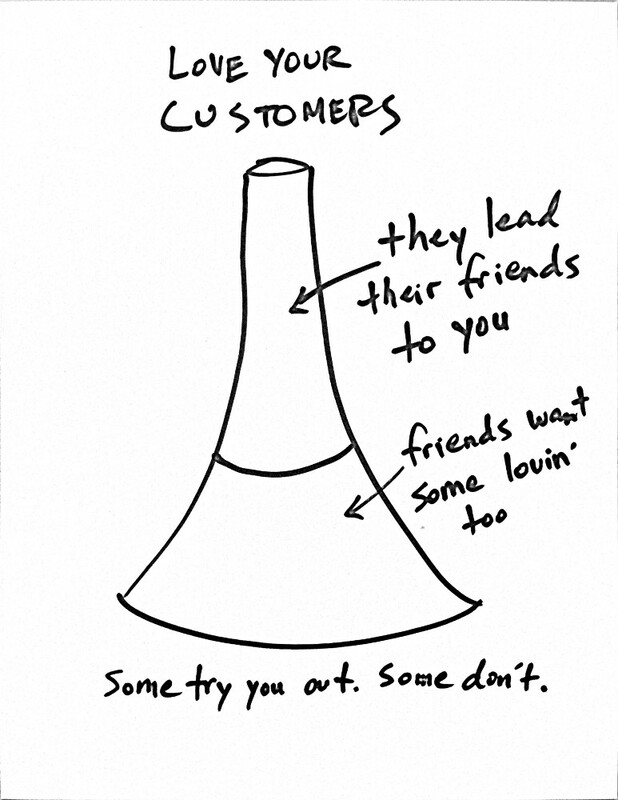 Or not, as is usually the case.Customer acquisition ultimately makes or breaks any start-up. Serial entrepreneurs understand that 90% of entrepreneurship is about sales and marketing, although now we have a new kid on the block — growth hacking. Whilst there’s real value in growth hacking it does feel a little like the lean startup movement — that is, now it has a ‘brand’, everyone will be jumping on the bandwagon claiming to be a growth hacker. Ultimately the aim of any startup founder should be to find a customer for their product and access to a bigger market that means scaling is a possibility. Even the greatest product ever made is only half the story — finding customers, gaining significant traction and reaching the tipping point is the other part of the journey that we don’t always hear about. Every successful product out there has had some form of hustling to progress. Airbnb famously poached property owners posting their houses and apartments from Craiglist to gain traction. 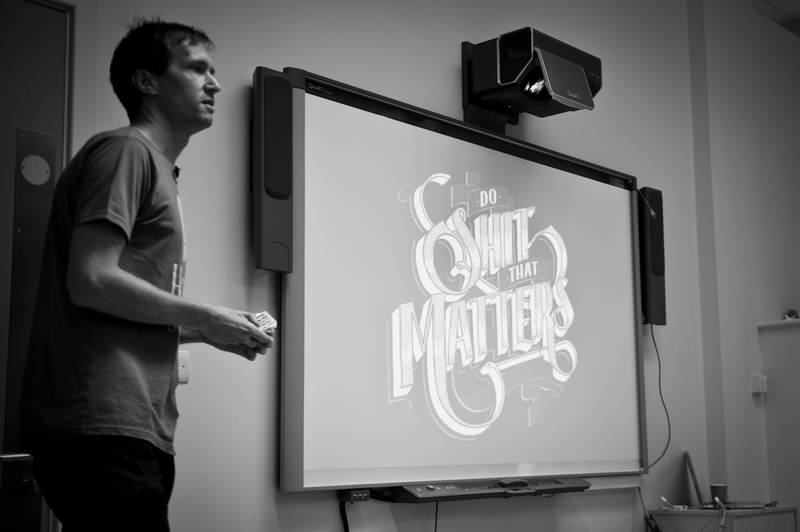 What are you doing to drive awareness and generates sales for your startup? Be bold, be clever. Often the best growth hacks are the cheapest. Startups that get funding early often make the mistake of hiring people too soon, before they’ve really worked out the sort of person they’re looking for. It’s seems that every other budding entrepreneur out there is searching for a co-founder, but in all the wrong places. Just as you won’t meet your future spouse in a nightclub, you’re unlikely to meet your business soulmate at a co-founders speed dating night. This all comes down to pinning down your startup DNA. If you have a strong vision, story and set of values that drive you, then you’ll know the sort of person that will be the right fit. No talented developer, designer or hacker is going to want to work until they sweat unless they have a real bond with you and believe in your startup purpose. 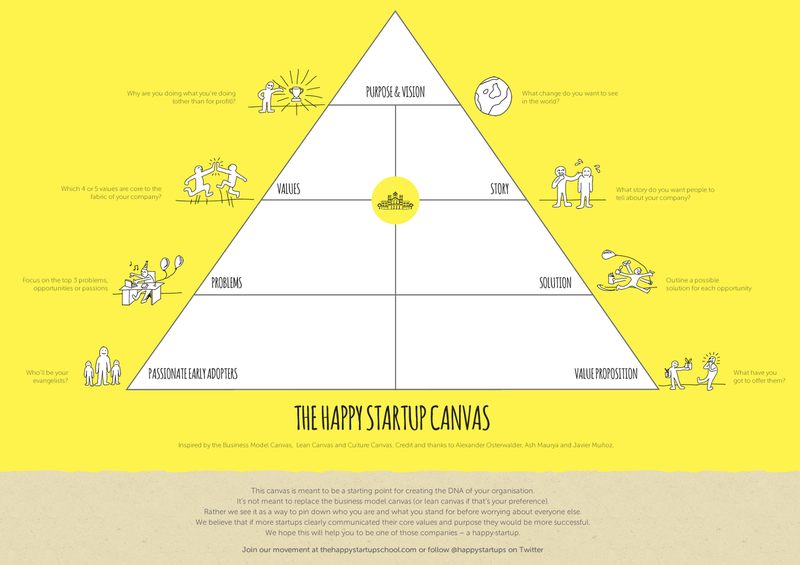 As a reward why not join 10,000+ other people and download our awesome (and completely free) ebook and startup toolkit ‘4 Steps to a Happy Startup: The path from passion to profits‘. Great set of tips, I can definitely resonate with some of the mistakes!